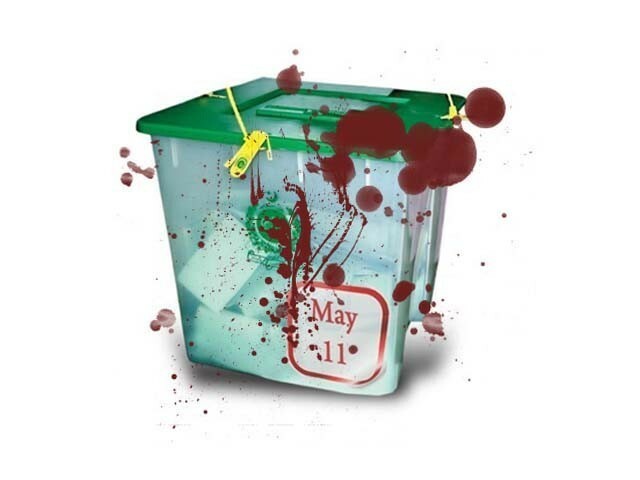 The contest between bullet and ballot has reached to its climax as the militants seem determined to sabotage the general elections but Pakistani nation, including all mainstream political parties, media, government high-ups and military leadership, is far more committed to go for polls at every cost. 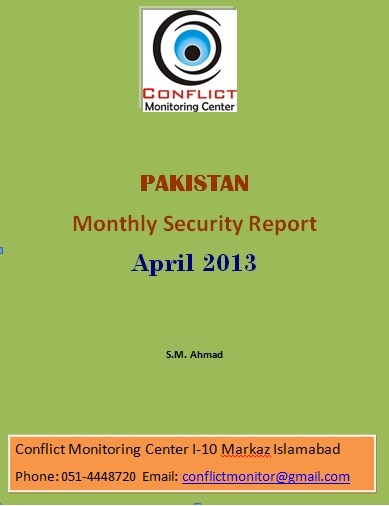 According to Conflict Monitoring Center’s monthly security report for the month of April the militants have intensified their attacks directing them particularly against the political parties. Liberal political parties such as ANP, PPP and MQM have been main target of the militants which, however, did not spare even the so-called right wing parties including PML-N, JUI, PTI and JI. The militants have also targeted several independent candidates in KPK, Baluchistan, and FATA. There has been an increase in militants’ activities but total numbers of casualties have decreased in April as compared to the previous few months. It shows that intensity of militants’ activities has been low during the month. The rising security threats to the leaders of several political parties and militants’ security ‘guarantees’ for others have made election an uneven-playing field for different political players. 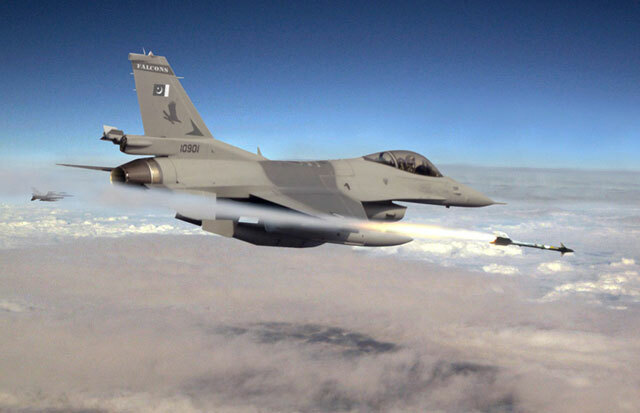 The security forces launched a major offensive against the militants concentrated in Tirah Vally of Khyber Agency in FATA, killing scores of suspected militants and leaving hundreds, others injured. The offensive is a key step towards clearing the area from militants and ensuring security of adjoining areas of FATA and KPK including its capital Peshawar. The operation will also increase security for NATO supply convoys bound to Afghanistan and would facilitate withdrawal of coalition forces from the country next year. Security forces’ counter-militancy campaign took lives of 200 people including 170 militants, most of them killed in Tirah Valley operation. FATA witnessed the highest number of violent incident during the month where at least 269 people were killed and 140 left injured in 43 different incidents. The highest numbers of violent incidents were reported in KPK i.e. 51, which claimed lives of 76 people. Baluchistan witnessed 20 incidents, which took 25 lives, and left 85 others injured. At least 6 such incidents and 26 resultant deaths were reported in Sind. The militants carried out 92 attacks during April 2013 in which 196 people including 102 civilians, 39 security forces personnel, 8 pro government armed Razakars, and 47 militants were killed, and 536 people including 456 civilians, 39 security forces personnel, 13 Razakars and 28 militants were injured. Militants also kidnapped at least nine people during the month. More than one-half of the total victims of militants’ attacks i.e.102 out of 196, were civilians. KPK witnessed 36 militant attacks and 69 resultant deaths while around 200 people sustained injuries. In FATA, 31 militants attacks took lives of 76 people and left more than 112 others injured. At least 19 militant activities and 25 deaths were reported in Baluchistan. Sind witnessed 6 militants’ activities killing 26 people leaving 142 others injured. The violence hit at least 15 districts of KPK, 12 districts of Baluchistan and 6 agencies of FATA. The provincial capitals of KPK, Baluchistan and Sind and Khyber agency of FATA remained worst hit areas by violence. Peshawar, the capital of KPK witnessed 20 violent incidents killing 54 people and leaving 136 others injured. At least 7 violent incidents claiming 13 lives and leaving 66 people injured were reported in Quetta. Karachi was hit by 6 violent incidents claiming 26 lives and leaving 142 others wounded. At least 31 violent incidents were reported in Khyber Agency taking 202 lives and leaving 96 others injured.